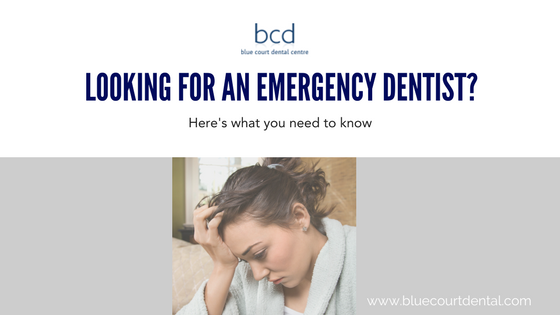 The search term “Emergency dentist near me” gets almost 4000 searches in the local area per month, so we know that people looking for an emergency dentist and that they need information about treatments and options available. Teeth which have come out completely. If the tooth has come out completely you may be able to replace it so long as it is not damaged. If there are still blood vessels or nerves attached do your best to keep these intact and only hold the tooth by the crown section and not the roots. 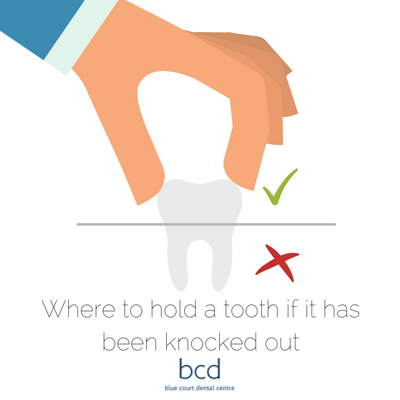 If you can, gently place the tooth back into the socket ensuring it is the right way round. Only do this if the tooth is completely clean and hasn’t been in contact with the ground. If the tooth has been in contact with the ground place it into a clean (ideally sterile) plastic bag with some milk and take it with you to your dentist or accident and emergency at the local hospital. If the socket is bleeding profusely then gently bite down onto a soft piece of gauze, when the bleeding subsides don’t immediately remove the gauze as this could dislodge the blood clot and the bleeding could start again. Alternatively use a cold teabag, it has been shown that the tea contains substances which can help to reduce the amount of bleeding. Do teeth grow back in adults? Unfortunately not. Once your baby/deciduous teeth have fallen out you only get one set of permanent teeth. The only teeth which may grow after this initial set have come through are the very last molars or wisdom teeth. Can a loose tooth become tight again? If the looseness of the tooth has been caused by gum disease then yes, if the gum disease is treated and the problem resolved then the tooth can tighten up again. This shows the importance of the early treatment of gum disease and how the situation can be saved if caught early. Is a chipped tooth an emergency? A chipped tooth is only an emergency if either the tooth is bleeding or the gum surrounding the tooth is bleeding and won’t stop. If the tooth has chipped and there is no pain or bleeding then this would not normally be considered a dental emergency, you should however make an appointment to see the dentist as soon as possible to rebuild the tooth if required. Can a chipped tooth heal itself? Amazingly, yes, a chipped tooth can heal itself but it won’t rebuild itself. If the tooth chips and the softer underlying dentine has become exposed the tooth will react to this and create what is known as secondary dentine. This secondary dentine is often much darker but is also harder and will protect the softer underlying tooth. If you want the full contour of the chipped tooth to be restored then the only way to do this is to visit your dentist who will then use dental bonding or possibly veneers or a crown. A chipped tooth can only be fixed by your dentist. If the chip is small then they may use dental bonding to rebuild the full contour of the tooth. If the chip is significant then dental bonding may not be adequate and a full dental crown or veneer can then be used. This may require a small amount of reduction of the healthy tooth structure in some instances. Is an abscess a dental emergency? Yes. an abscess is a buildup of pus from an infection around the tooth. It is characterised by significant swelling, redness and pain. An abscess will not go away on its own and in extreme circumstances can spread to other parts of the body and make you ill.
What helps a tooth abscess? If you have a tooth abscess then we recommend you contact your emergency dentist as soon as possible, whilst you are waiting to see them you can reduce the pain by rinsing your mouth with warm salt water, this is particularly effective if the abscesses caused by gum infection. Saltwater can help to remove bacteria from the infected area. Taking recommended doses of over-the-counter painkillers. Avoiding particularly hot or cold food and drinks as it may make the pain worse. Eating on the opposite side of your mouth. Using a softer toothbrush than you would normally and don’t floss around the affected area until it has been seen by a dentist. Please note, these are all temporary solutions and you will need to see a dentist to get the abscessed sorted. This entry was posted in Dental Emergencies, Did You Know, Oral Hygiene, Share This Post and tagged Composite bonding, dental hygienist, gum disease, oral health, periodontitis on 25 April 2018 by Dr Nishan Dixit. What does a dental hygienist do and do I really need to go? We get asked this question all the time at our dental practice in Harrow, Middlesex, people often wonder if a dental hygienist is just an excuse to get a little more money out of people… Some people wonder why the dentist can’t do the same job as the hygienist and have everything done in one appointment. In this blog post we explain why the hygienist is so important and crucially, why the hygienist can save you money by helping you stay dentally fit and healthy. What is dental plaque, tartar and calculus? 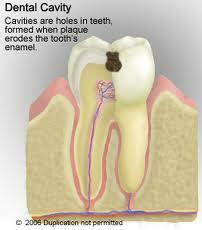 Dental plaque is a soft, sticky film that builds up on your teeth every day. This film contains millions of bacteria and as these bacteria feed on the sugar in your diet they excrete acid and it is this acid which can lead to tooth decay and gum disease. Tarter or calculus is when this soft, sticky film hardens, typically this is in between your teeth in difficult to reach areas where it is not removed each day. When it hardens into calculus this is where bacteria can lurk and excrete more acid directly onto your teeth. If this calculus remains in place for too long the gums can become inflamed, read and puffy. The acid can also eat away the hard outer enamel layer of your teeth, if this progresses then the teeth can begin to rot from inside! What is the difference between a dentist and a dental hygienist? A dental hygienist is uniquely trained to look after your dental health only. They have in-depth training to understand how and why your teeth and gums can become unhealthy, they are able to spot the early warning signs of gum disease, help you change habits which may be exacerbating the onset of gum disease and work with you to treat any gum disease. Your dentist on the other hand, as well as doing all this will be treating any decay, helping to restore broken down teeth, replace missing teeth, straighten crooked teeth plus have a deeper understanding of the anatomy around your head, face and neck enabling them to spot the early warning signs of oral cancer as well as biting problems which can lead to headaches and neck pain. In an allocated appointment time your dentist will be hard pushed to do the role of the hygienist as well, doubling the appointment time to give the dentist time would increase the cost to you, so seeing a hygienist not only ensures you see someone uniquely trained to help you with your dental health but also keeps costs down as the dentist is not doing it themselves. A typical routine dental health check appointment with your dentist will last around 30 min, a typical routine dental hygiene appointment will also last about 30 min. It is quite usual to have a visit to the dentist and then the hygienist consecutively every six months. Many practices offer dental membership plans to help spread the cost of these appointments over an extended period throughout the year. This is the common term used to describe removing calculus (scale) from your teeth and then polishing them to make it more difficult for the calculus to adhere again. A scale and Polish is however an oversimplification of what is actually done. Your hygienist will check the dental health of each individual tooth and surrounding gum area, they will assess your cleaning and diet habits to work out why calculus has built up in particular areas, they will then give you advice on how you can reduce this in future. Once the calculus has been removed the teeth will be polished and cleaned and flossed in between. How often should you go to the dentist and hygienist? If you haven’t been to the dentist or hygienist for some considerable time you may find that more frequent appointments are required in order to get your teeth and gums to a healthy state. Sometimes a monthly appointment at the hygienist are required for 3-4 months in order to do this. Once your dental health is in a satisfactory condition routine appointments at the dentist and hygienist are then recommended every 6 months. What tools do dentists and hygienists use to clean teeth? Most dentists invest heavily in technology and equipment to ensure you receive the very best treatment. A clever piece of technology that many dentists use is an ultrasonic scaler. This uses ultrasound waves which are conducted through to the calculus on your teeth at the end of probe connected to an ultrasound device. The high frequency ultrasound dislodges the calculus from your teeth in a comfortable, painless and rapid fashion. Using this device means your hygienist can clean your teeth faster than using a hand-held instrument alone. As well as the ultrasound device your hygienist will also use various hand tools to clean in the difficult to reach areas in between your teeth. Right at the back of your mouth, in between the last molars can often be very tricky to reach with a toothbrush meaning calculus buildup readily in these areas. Cleaning in these areas and removing the calculus can be quite tricky sometimes, especially if teeth are very crooked. How to remove calculus from your teeth? Unfortunately the only way to remove calculus from your teeth safely is to visit your dentist and hygienist. Trying to pick away at home can result in damaging your delicate gums. If you visit your hygienist they can give you oral health advice as to the best way to keep your teeth as clean as possible and prevent the buildup of calculus in the first place. Visiting the dentist and hygienist is an important thing to do if you wish to keep your mouth (and whole-body) as healthy as possible as well as keeping your overall dental costs as low by being dentally fit. This entry was posted in Oral Hygiene, Questions & Answers, Share This Post and tagged Calculus, dental hygienist, Plaque, Tartar on 26 January 2018 by Dr Nishan Dixit. Preventing tooth decay is a major part of the work of any dental practice. Tooth decay can cause problems with the aesthetics of your smile, pain, tooth loss and subsequent problems with your bite if the whole tooth all parts of the tooth are lost due to the tooth decay. Detecting tooth decay there is done with a visual examination of your teeth, however a very common part of your tooth to become affected by decay is the contact point between each tooth. This area is not so easy to keep clean with regular toothbrushing, and is more prone to bacteria buildup and therefore tooth decay. Your dentist in the Harrow area will take x-rays to view this area between your teeth, to see if there has been any form of tooth decay. One of the best ways of preventing tooth decay is to ensure that you clean your teeth properly each day. Regular brushing with an electric toothbrush, flossing with either take or floss and then a quality fluoride mouth rinse will ensure that your chances of tooth decay arising are lowered. As tooth decay often happens in the areas between your teeth, we also recommend visiting your dentist at least every six months. Doing this allows your dentist to monitor any areas where tooth decay may be taking hold, and then to decide if remedial treatment to prevent the decay from worsening is required. If you do not visit your dentist, you will not be able to see this progression of decay in your tooth possibly until you are faced with a great deal of pain. It may then be too late to save the tooth! Dental hygiene and tooth decay. Within each dental practice there are specially trained people to look after various aspects of your dentistry needs. This dental practice in Harrow uses a dental hygienist to ensure that your teeth are adequately cleaned and that your oral health care routine is such that tooth decay is much less able to take hold. Visiting the dental hygienist is a vital an integral part of preventing tooth decay health. and ensuring that you keep your teeth fit and healthy for life..
Blue court dental practice is keen to ensure that the people of Harrow have the least amount of tooth decay possible, and so all patients are recommended to our dental hygienist to help maintain your oral and dental health. This entry was posted in Oral Hygiene and tagged dental hygienist, oral health care, prevention, tooth decay on 17 August 2012 by Dr Nishan Dixit.